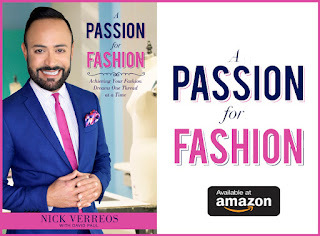 Home » Carlos Falchi » Macy's » Macy's Brasil Campaign » Macy's Valley Fair San Jose » Macy's Valley Fair Santa Clara » Nick Hosts » Nick Verreos » Nick Verreos Hosts Macy's Brasil Campaign » NICK APPEARANCES.....Macy's Valley Fair San Jose "Brasil" Event: RECAP! NICK APPEARANCES.....Macy's Valley Fair San Jose "Brasil" Event: RECAP! 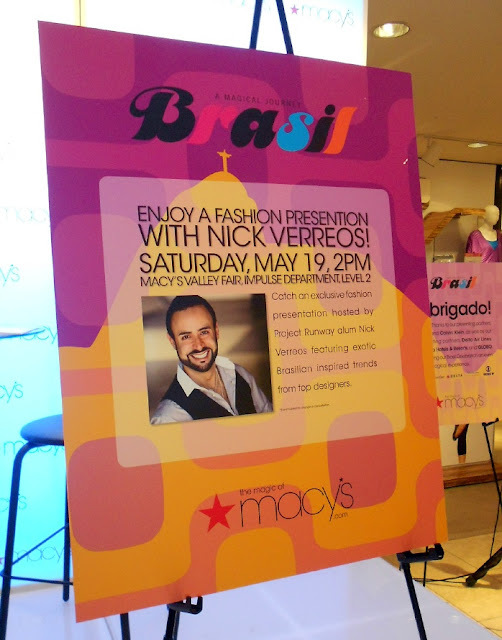 To wrap up my fun San Fransisco Bay Area Macy's "Brasil" hosting appearances last week/weekend, here's my RECAP of the last event I hosted at the Macy's Valley Fair in Santa Clara/San Jose last Saturday. 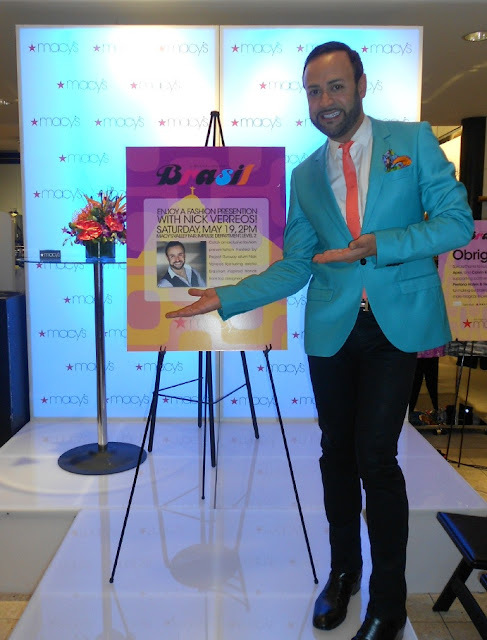 If you've been keeping up with my blog here, last Thursday I hosted a very fun event at the Macy's San Francisco "flagship" in Union Square.. 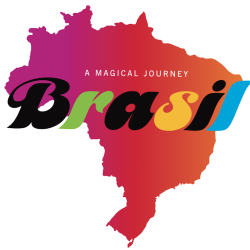 So, now, I was ready to "Go South" and make sure the San Jose area got a little Brazilian! I put on my turquoise-colored TopMan jacket (one of my faves! ), skinny black jeans, skinny coral-colored TopMan tie, Gucci boots and well, I was ready! 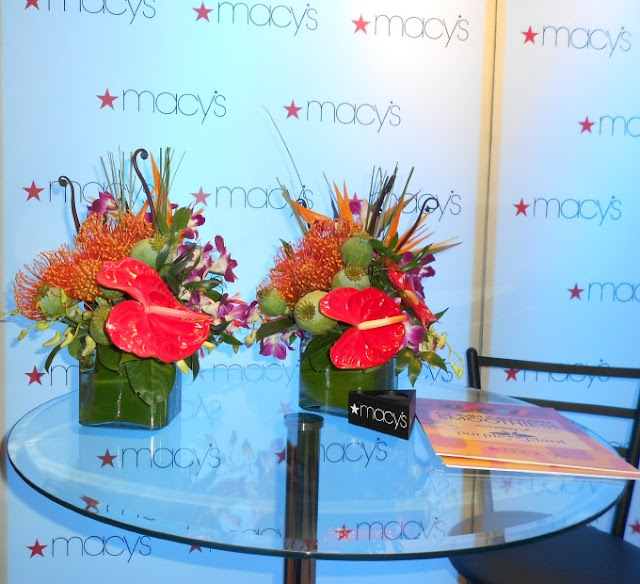 I arrived at the Macy's Valley Fair to a bright and sunny day as the second floor Macy's Impulse Department was preparing for today's fashion presentation. There was a mini catwalk stage set up, with gorgeous flower displays, seats set up like a Fashion Week runway show my new bestie DJ--DJ Antonio of Braza!--was already spinning some samba lounge tunes getting all the shoppers in the mood. Purple Plant was also on hand giving out free samples of their DELICIOUS smoothies while shoppers and runway show attendees were getting ready for the show. 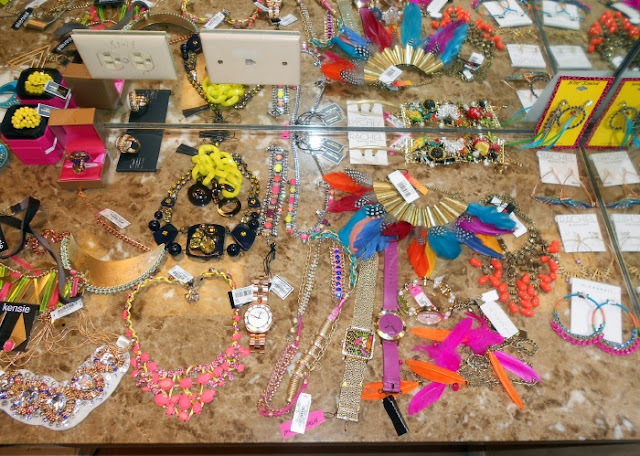 I headed backstage to check out the fashions, accessories and models...and then it was "Show Time"!!! 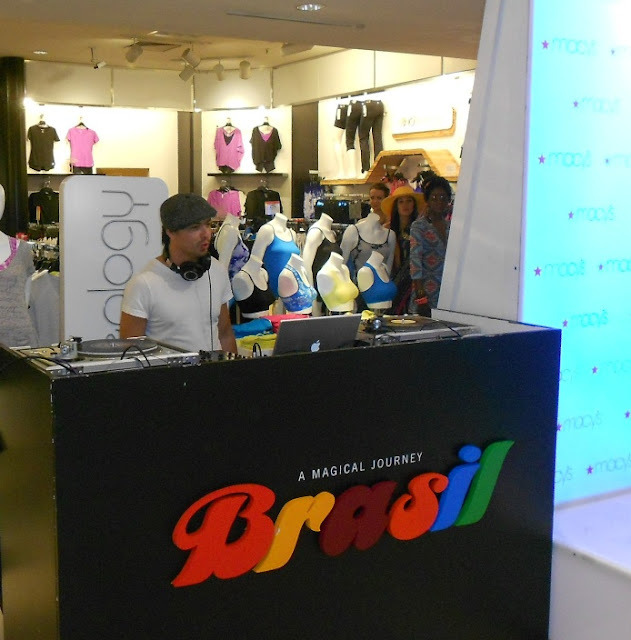 The "Brasil" Macy's Valley Fair Fashion Presentation consisted of many, many looks, showing trends, silhouettes and styles, that were Brasil-inspired and all (of course) available at Macy's. 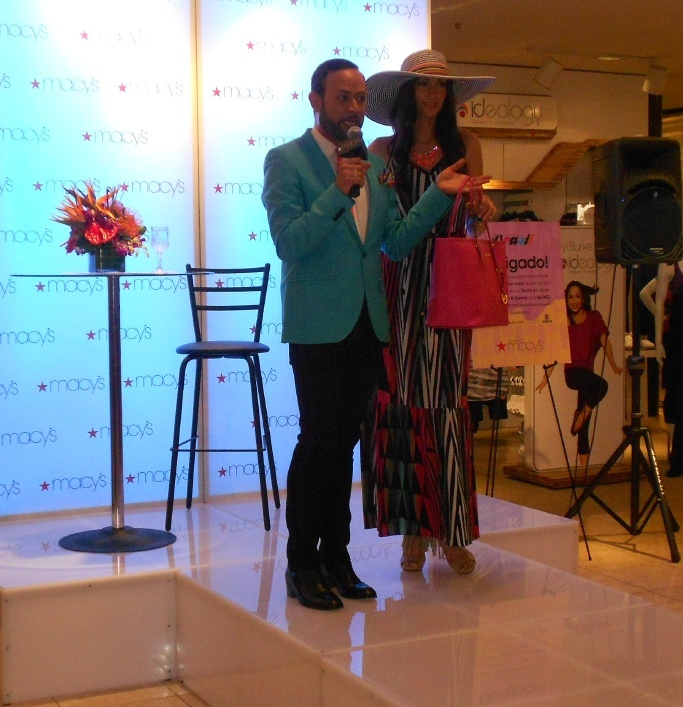 I don't know why but I was OBSESSED with purses today while hosting the Macy's Valley Fair "Brasil" presentation. 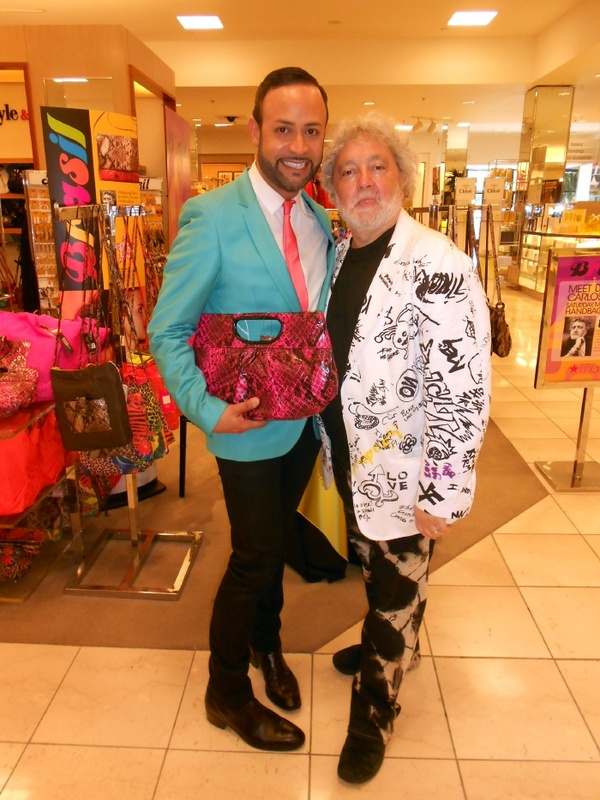 Several times when the models came out in front of the audience, I had to point out the fun colorful purses...(I think it was because I wanted them!). After I did my Fashion Presentation hosting duties, I RAN downstairs to Level One, so I could meet the one-and-only Carlos Falchi. He was AMAZING: so sweet, affable, forthcoming and well, let's say he's my new Brazilian "Poppa Bear" (I didn't really have one before so, it's just him!). 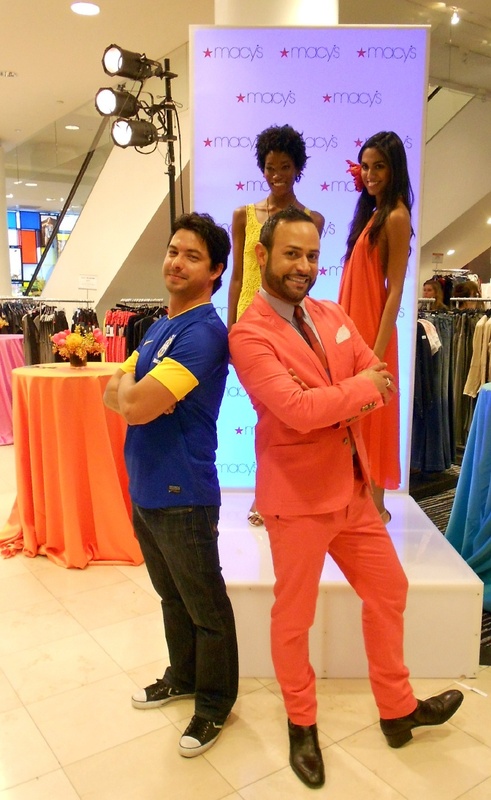 Meeting him really made my day and capped off a FABULOUS Macy's "Brasil" hosting weekend! 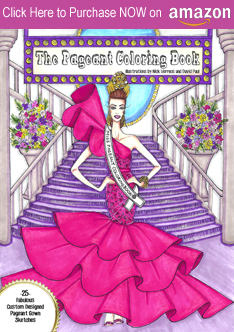 Until next time San Francisco Bay Area...Thanks for always being so fabulous!!! 0 Response to "NICK APPEARANCES.....Macy's Valley Fair San Jose "Brasil" Event: RECAP!"